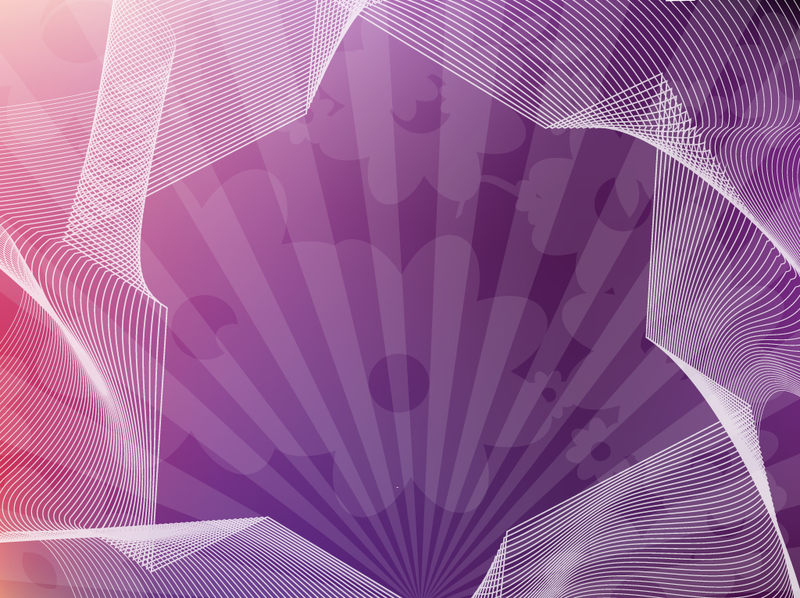 Decorative vector background with purple gradients, floral shapes, light rays and twisting wire frame shapes that form a flower. Creative and original layout for your greeting cards, photo frames, business cards and identity kit folders. Free download for your stock background and abstract vector library. Tags: Floral, Flowers, Greeting Card, Mesh Vector, Purple, Template, Wire Frames.